Enough with the soft launches. How 'bout a real one? I've been a huge Micro Machines fan since I was a little girl and played the top-down installments on PC. Previously I reported that the series would be reappearing via Chillingo, and it looks like that's happening sooner rather than later. The new mobile game from Chillingo and Codemasters appears to have gone into soft launch in the Phillippines. Of course, this means I can't really get my hands on it just yet, but there's a trailer to check out and also a good look at some of the features you can expect from the game. 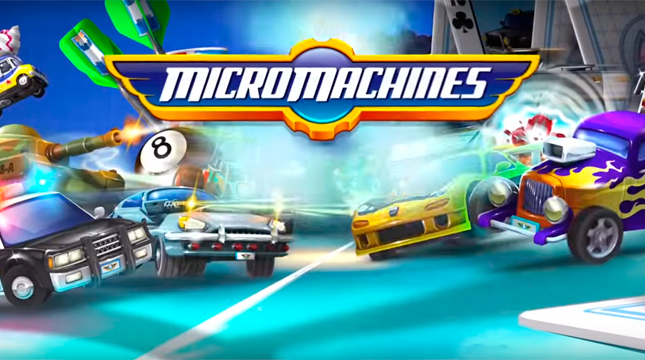 The game's been monetized with car packs, multiplayer online racing, and a swath of reasons to check out the updated title, so I can't wait for the North American version to finally hit the App Store. Hopefully that's not months away and I can look for it as soon as the end of the year. Wishful thinking, though. For now, enjoy the trailer!